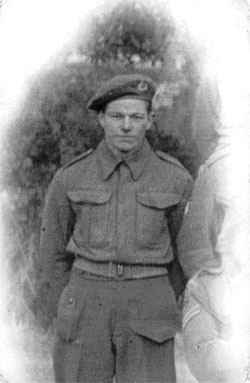 Perhaps imagined by me but I am certain my father me a number of years later that my uncle was made a PoW when he was on a patrol by a river. I read on the Internet the tale concerning the patrol to Fort Sint Andries in October 1944 when 9 soldiers were caught and sent to Fallingbostel. The large question is: was my uncle one of them? http://www.tremele.nl/Oorlog/wo2/05regimenten/43rdRecceRegt/Fellenor.htm and translated via Google.